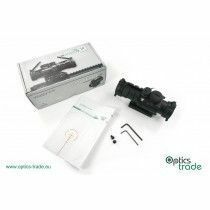 As the name suggests, prism scopes are composed of prisms – like binoculars. 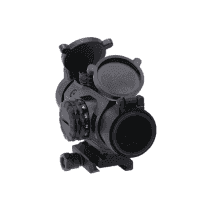 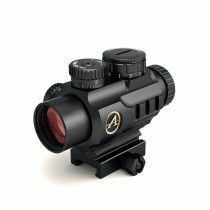 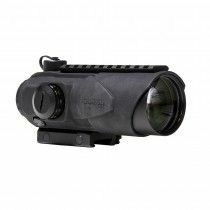 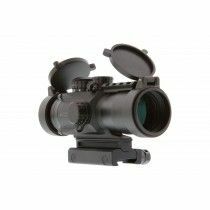 These compact, robust devices work similarly as red dot sights but are usually equipped with an illuminated reticle in shape of a dot or a cross, surrounded by a circle. 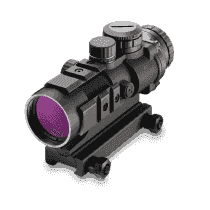 BDC reticles for .223 are common. 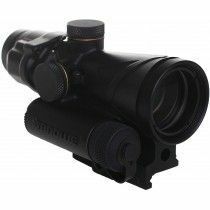 The magnification is fixed and is either 1x, 2.5x, 3x, 4x or 6x. 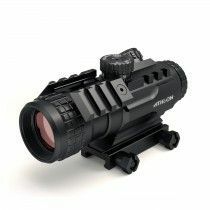 Nearly every prism scope has a Picatinny mount built-in on the bottom part of the housing. 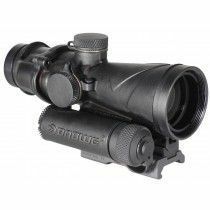 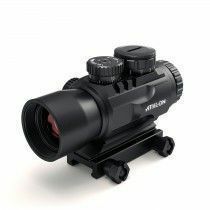 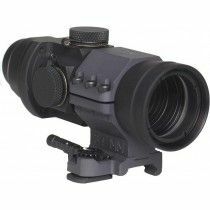 People with astigmatism can use prism scopes with 1x magnification as substitution for red dot sights since they have diopter adjustment. 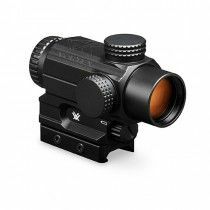 Consequently, glasses users will not have to deal with obtrusive reflection of the dot. 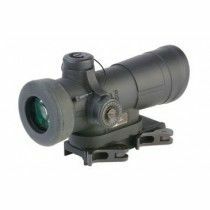 Prism scopes give the user an option of choosing between green and red illumination. 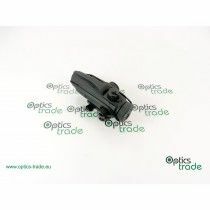 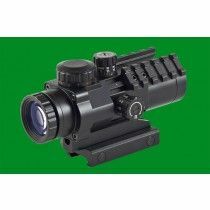 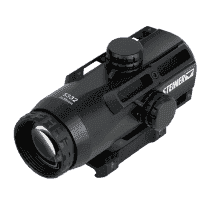 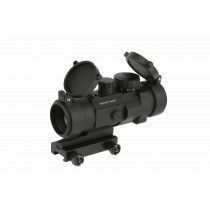 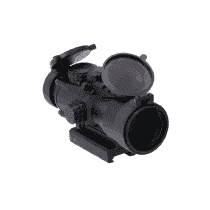 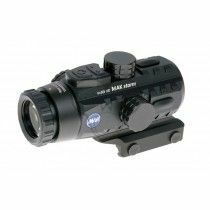 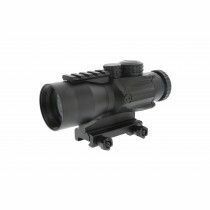 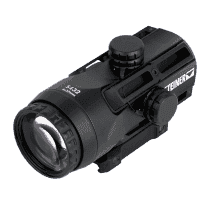 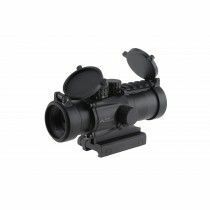 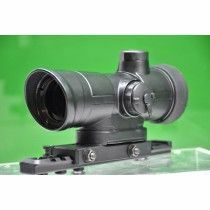 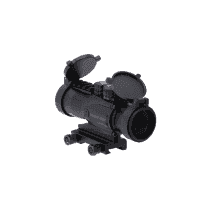 All in all, these scopes are a great choice for people with astigmatism who wish to purchase something similar to a red dot sight. 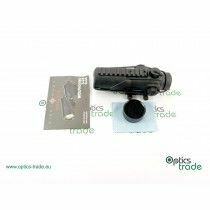 The disadvantages are smaller eye-box and lack of unlimited eye-relief.